This certainly beats Quality Street and the Queen’s Speech,” said my husband, as we watched our three children shinny up Star Flyer’s towering mainmast on a glorious Caribbean Christmas afternoon. The festive season is a great time for cruising. There’s no cooking, no in-laws and no fighting over the remote. Factor in Cuba – one of the hottest (in every sense) destinations on the planet – together with a boutique sailing ship, and “Happy Christmas” takes on a whole new meaning. For me, this trip would be the fulfilment of a lifetime’s ambition. 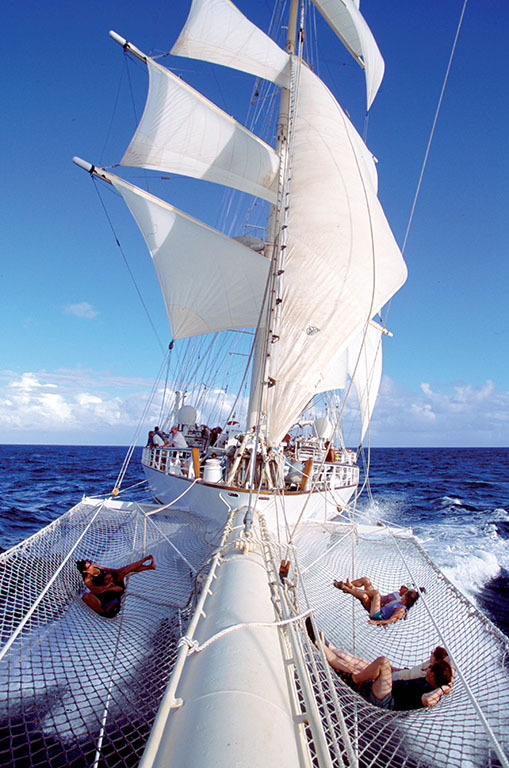 Not to visit Cuba – though that had always been high on my wish-list – but to sail on a real, authentic, tall ship. For years, every time I’d seen one in port while cruising the conventional way, I’d fought the urge to dash up the gangplank and stow away under the sails. Blame a misspent childhood glued to The Onedin Line on Sunday evenings (we later found that our fellow Star Flyer guests divided roughly 50/50 between those who fondly remembered the cult BBC drama and those who looked completely blank when it was mentioned). But while I was confident that my husband and I would love our clipper Christmas, I was less sure what my three daughters, aged 10, 14 and 15, would make of the experience. For them, cruising generally involves a good internet signal, lots of mirrors, the chance to dress up, and maybe the kids’ club if their phone batteries are flat. What would they think of a pool that was no bigger than our bath when we sailed on the world’s largest cruise ship? But this turned out to be a cruising experience so unique that comparisons were irrelevant. Our 9-day voyage around Cuba was shared with 170 guests, and not the thousands we were used to. The passenger-to-staff ratio (2.4) was pretty different too. And if you must play cruising Top Trumps, it’s Bars 1; Restaurants 1; Masts 4 and (the one that really makes me chuckle) Sail area: 3,365 square metres, versus a big fat ‘0’ on any other ship I’ve ever been on. One of Star Clippers’ fleet of three tall ships, Star Flyer was built in the 1990s, despite her traditional lines, so she is reassuringly up-to-date in terms of technology and safety. Many of the crew, however, are proper sailors, trained the old-fashioned way with sail and rope, and it shows. 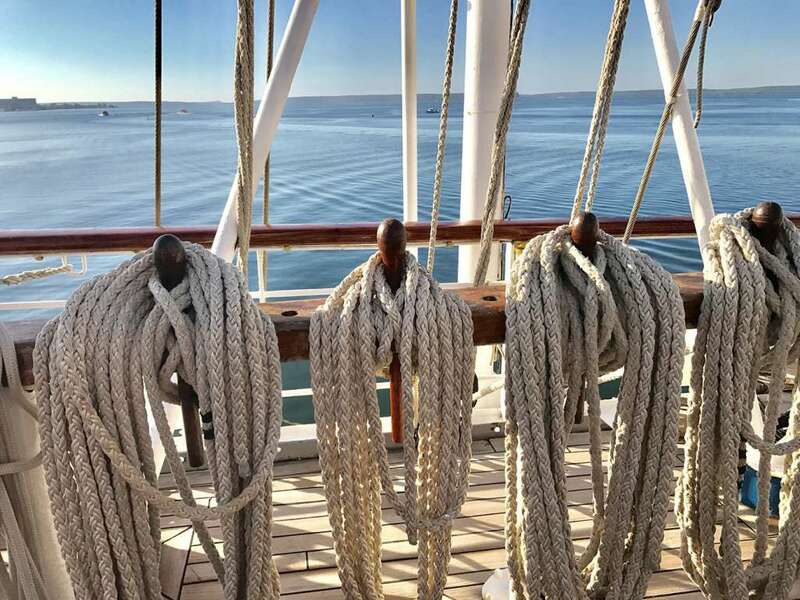 Whether it’s the knot-tying classes (much more interesting than they sound), the fitness workouts on the teak deck (more fun than I’d feared) or simply watching the huge sails being hoisted into place, you never forget what kind of ship you’re on. You even get to see the sails being mended (nothing hi-tech here, just a giant sewing machine). Best of all, however, is the opportunity to climb the rigging. On Christmas Day there was almost no breeze and the ship was hardly moving, so the climb to the crows’ nest was pretty much straight up for 20 metres. Our girls took off like Usain Bolt on his way to a nightclub. Their mother stayed on deck (well, someone had to take the pictures). Our itinerary had begun a week earlier in the pretty, colonial-era Cuban port of Cienfuegos, and as with any cruise we’d started with orientation. On Star Flyer that takes five minutes and you’re done. But while her passenger accommodation may be a little smaller than standard rooms on conventional ships, there is more public space per person – and a guaranteed deck bed, too. Doorways are narrow and there are lots of steps (with no lift, you need to be reasonably mobile) but we loved the compact scale. Left your book and sun cream in your room? Thirty seconds later you’ve got it and you’re back on the lounger. And as for those tiny pools, who needs them when the beaches are this good, and watersports are all included in the price? As we skimmed across the Caribbean towards Grand Cayman, it soon became clear that life on board revolved around the alfresco Tropical Bar. This was the hub for daily briefings, pre-dinner drinks, music, gossip and all the bonhomie you would expect at your local, except a little warmer and with a wider cocktail menu. It was wonderfully sociable, and even my girls put their phones down and went with the flow. Watching them make friends with fellow guests of all ages and nationalities was one of the highlights of the whole trip (even if the English skills of the Germans, Italians and Swedes put our family predictably to shame). I imagined we’d just been lucky with our group but regular guests soon put me right. Apparently every sailing is like one big house party, which is the reason why many passengers – many of them travelling solo – return time and again. Well, that and the sheer romance of setting sail to the sound of Vangelis (a Star Clippers tradition) while sipping champagne. The super-sociable vibe carried through into the dining room, which was open-seating and involved a lot of table-hopping at lunch, and even during the more formal dinners (our Christmas Eve Gala Banquet felt more like a game of musical chairs as festive good wishes were exchanged). With little formal entertainment, it’s up to everyone to be a bit more inventive. One night, we guests took over the sound system (not quite a mutiny in the eyes of the event organiser but pretty close). On another, the staff’s interpretation of Gangnam Style and some “authentic sing-along performances” proved much more fun than yet another Broadway revue. As Christmas Day approached we found ourselves back in Cuba, first by the island of Cayo Rico and then at Punta Frances. Being so small, Star Flyer drops anchor off beaches that other ships can only dream of, and vast expanses of white sand and gorgeous clear sea greeted us at every stop – along with the occasional friendly iguana. And then came Havana, which is like walking into Seville or Madrid in the 1850s, though with those vintage American cars that seem to fit in so well. We were docked right in the centre (small is beautiful again) but we had only a day and half to spend there. It wasn’t enough, because this extraordinary city is unique in so many ways. For more than half a century, the US embargo has driven self sufficiency, and on every street corner somebody is making or mending something. The internet is a rarity even now, and none of us will forget the thrill of a night ride in the same white Cadillac that ferried President Truman when he visited in the 1940s (that was our driver’s story, anyway). It’s worth noting, too, that Cuba must be the safest Caribbean island, given that robbing a tourist brings an automatic five-year jail sentence. 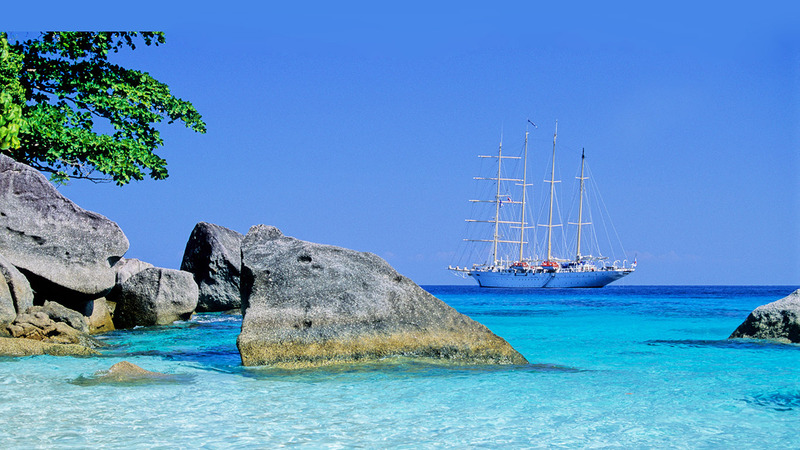 Star Clippers will be returning to the Caribbean in 2019, but before that there are plenty of opportunities to join their sailings elsewhere (see below). My advice is to go anywhere that a clipper can take you – because this is quite simply the most authentic, exciting form of cruising there is.